Of late I came across so many attractive living rooms that use the red and white combination that I thought it was time to put in a post. Color-wise, White is subtle and Red is intense. Togethor these two colors seem to work really well. Not all the rooms that we feature today will use the two colors in the same manner or proportion. Each room solves the balance problem in its own unique way. 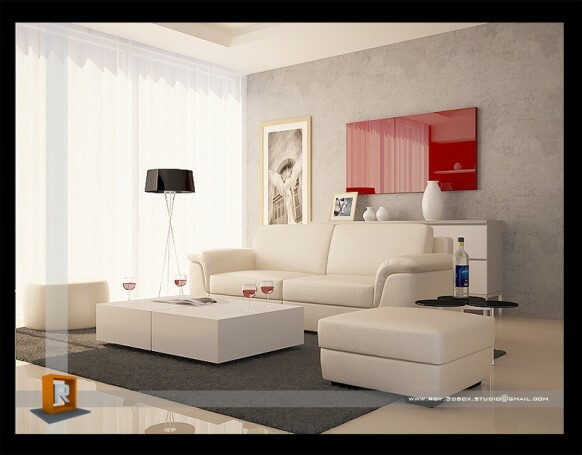 For example in some living rooms, the color red is sparingly used as an accent while in others it dominates. Whatever be the ratio of usage, we can tell you one thing: some people have put very careful thought in designing these red and white living rooms!